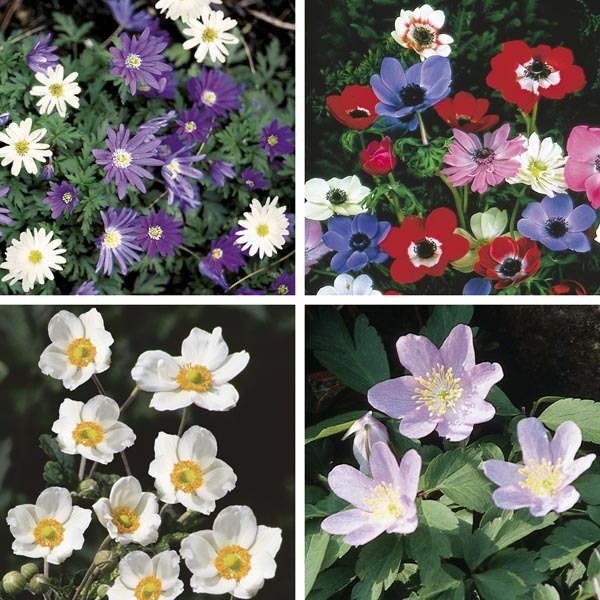 All species of Anemone have beautiful, deeply cut or fern-like foliage that is attractive in the garden even when the plant is not in flower. A variety of sizes and colors are available and all add a refreshing touch of color to the late summer and autumn landscape. Many varieties have long stems ideal for use in cut flower arrangements. Excellent for borders, rock gardens, or mass plantings. Looks great in woodland settings. Perfect for all kinds of containers. Excellent cut flowers. Very easy to grow in virtually any location. Grow in fertile, humus-rich soil. Keep soil moist, watering freely in dry weather. Remove faded flowers for best display.